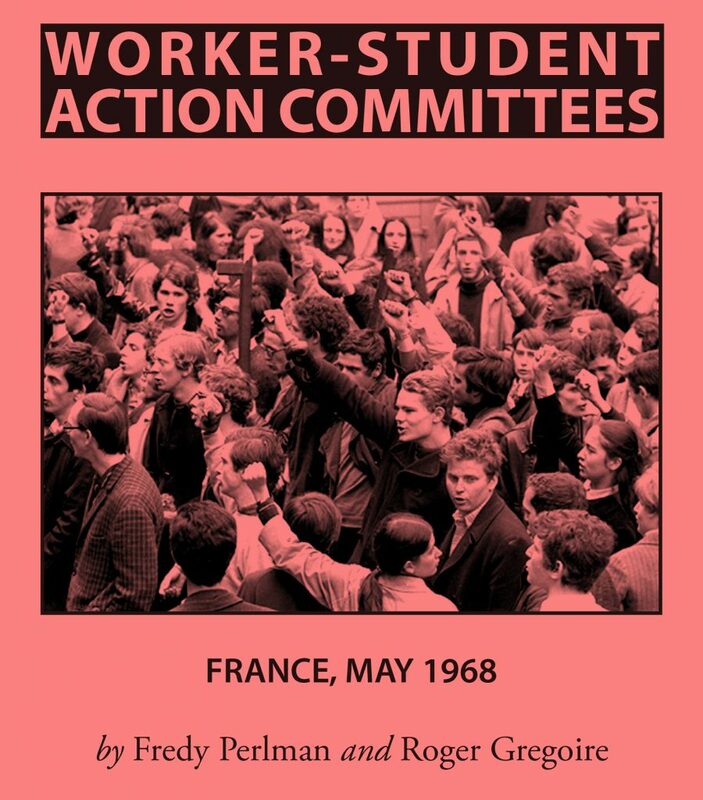 Our archive prioritizes content that is relevant to youth and anti-university organizing. 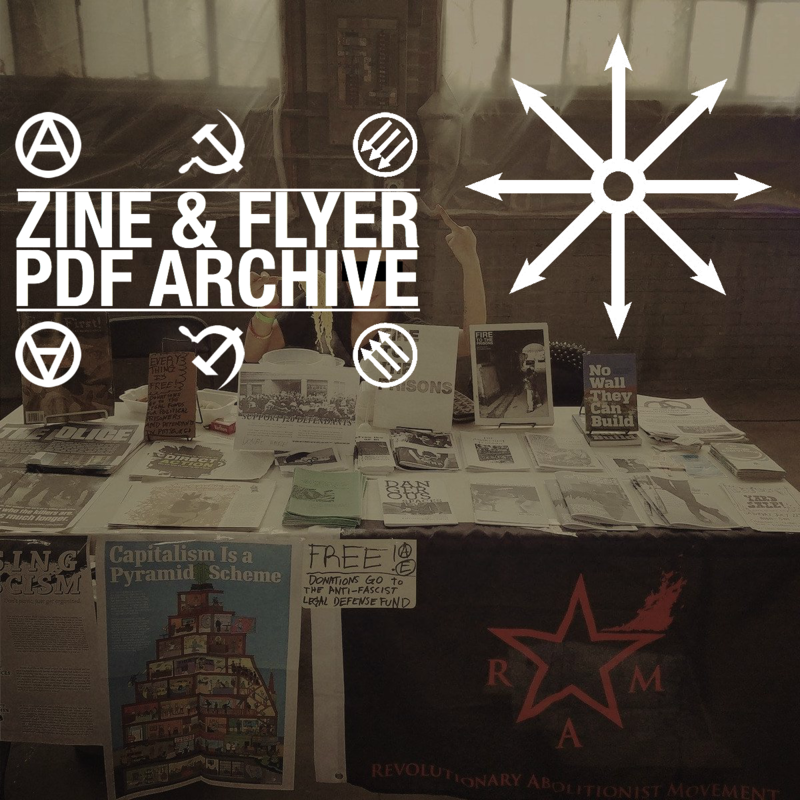 More zine pdf’s can be found in the web archives of the projects listed below. 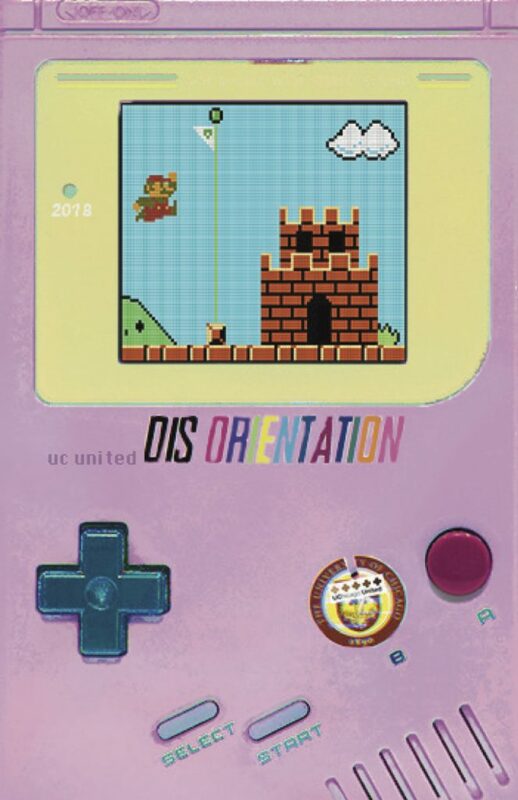 Click HERE for mailorder zine distros. This issue of Filler is broken into two parts. 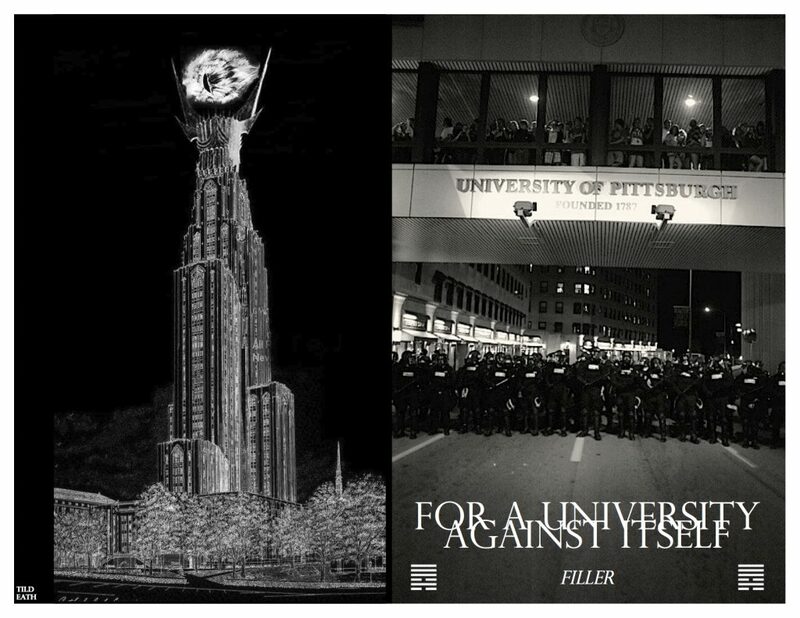 The first part examines the systems of power that reproduce the capitalist university, the second part is a critical look at the rise of an autonomous student network at the University of Pittsburgh. For an education that liberates. For a classroom that no longer spectates. workers, and faculty can throw down together. 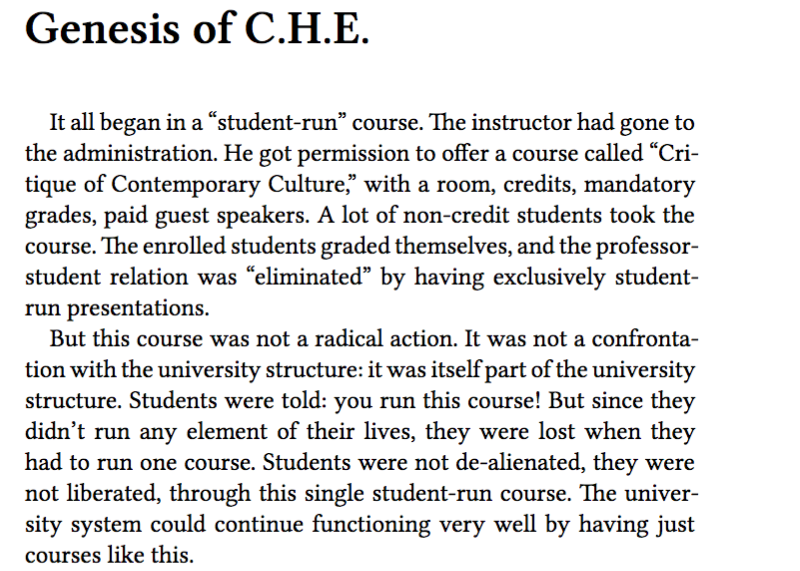 For a campus culture that terrifies the board of trustees. 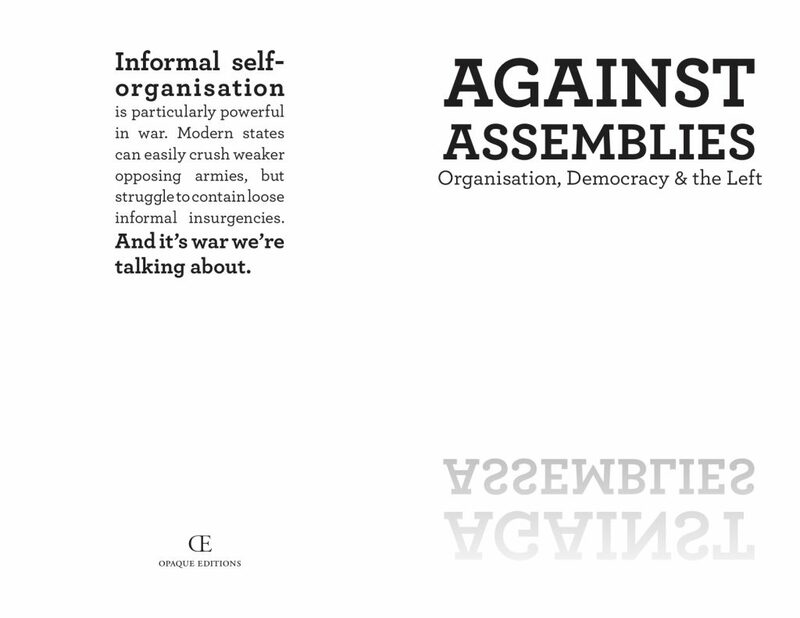 This zine is a practical how-to guide for anyone interested in organizing autonomous resistance to the neoliberal University. 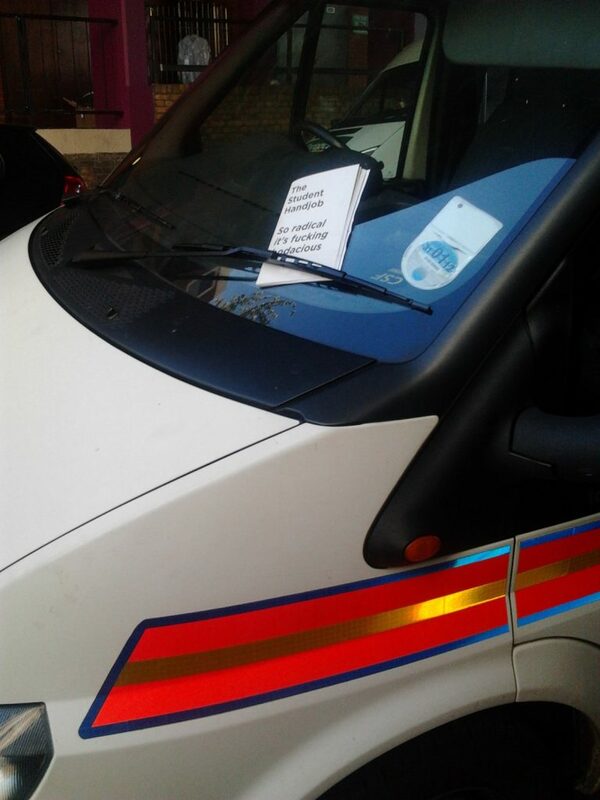 Published by Grève Montréal and Sabotage Media in Canada. Disclaimer: this text is for educational purposes only! 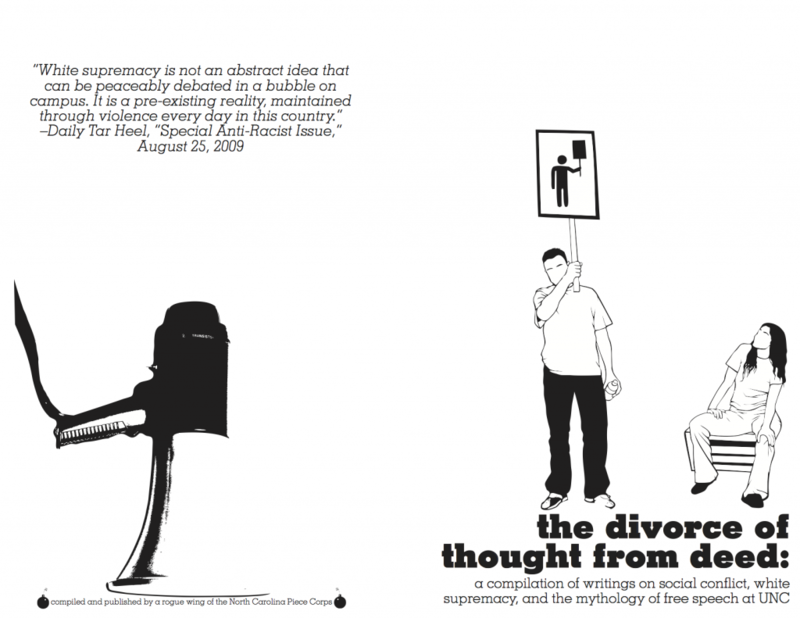 In this series of essays Fred Moten and Stefano Harney draw on the theory and practice of the black radical tradition as it supports, inspires, and extends contemporary social and political thought and aesthetic critique. Today the general wealth of social life finds itself confronted by mutations in the mechanisms of control: the proliferation of capitalist logistics, governance by credit, and the management of pedagogy. 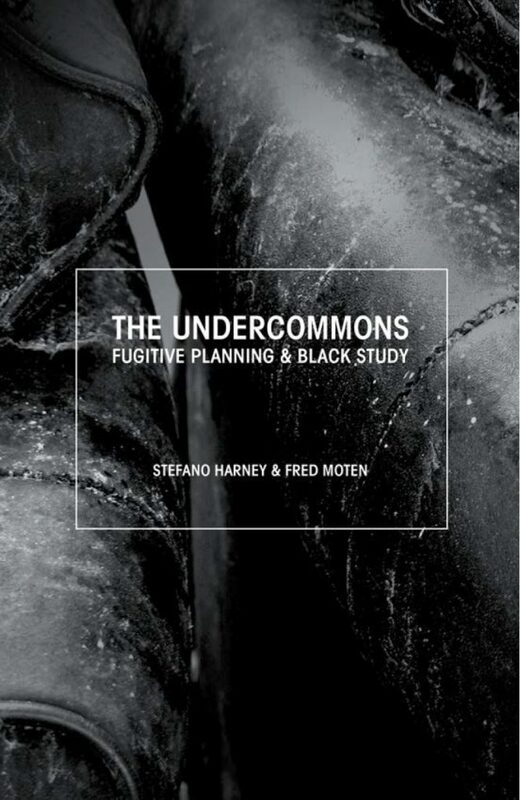 Working from and within the social poesis of life in the undercommons Moten and Harney develop and expand an array of concepts: study, debt, surround, planning, and the shipped. On the fugitive path of an historical and global blackness, the essays in this volume unsettle and invite the reader to the self-organised ensembles of social life that are launched every day and every night amid the general antagonism of the undercommons. 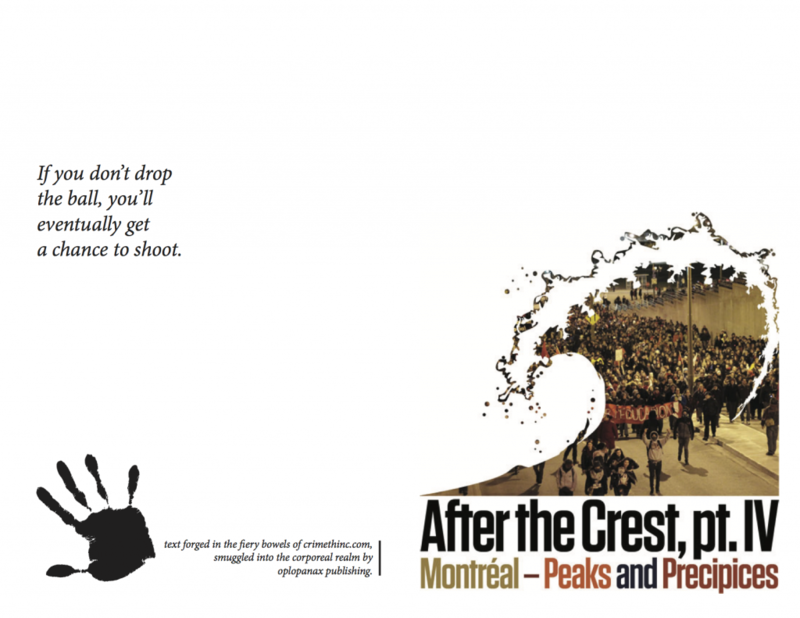 This is the final installment in CrimethInc.’s “After the Crest” series exploring how to navigate the waning phase of social movements. 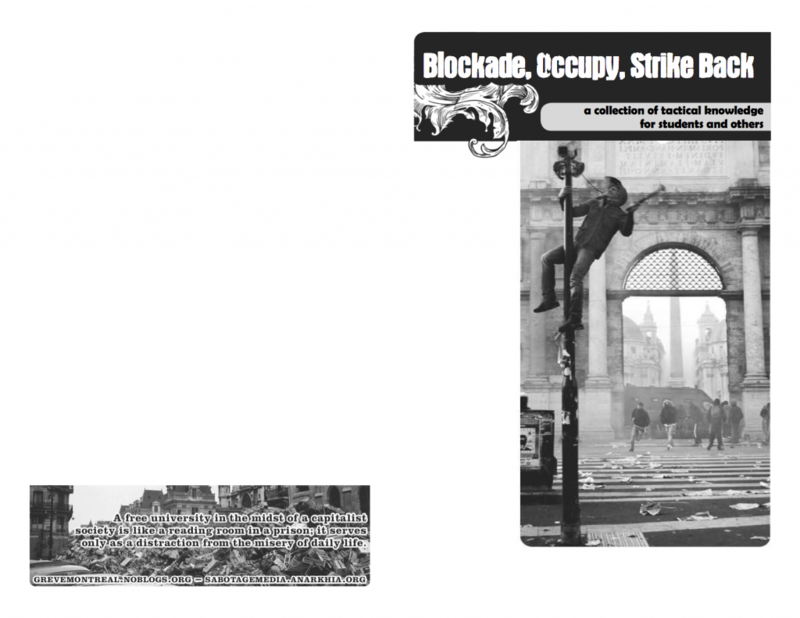 It is a personal reflection on anarchist participation in the 2012 student strike in Montréal and the disruptions that accompanied it. The product of much collective discussion, this article explores the opportunities anarchists missed during the high point of the conflict by limiting themselves to the framework of the strike, and the risks they incurred by attempting to maintain it once it had entered a reformist endgame. 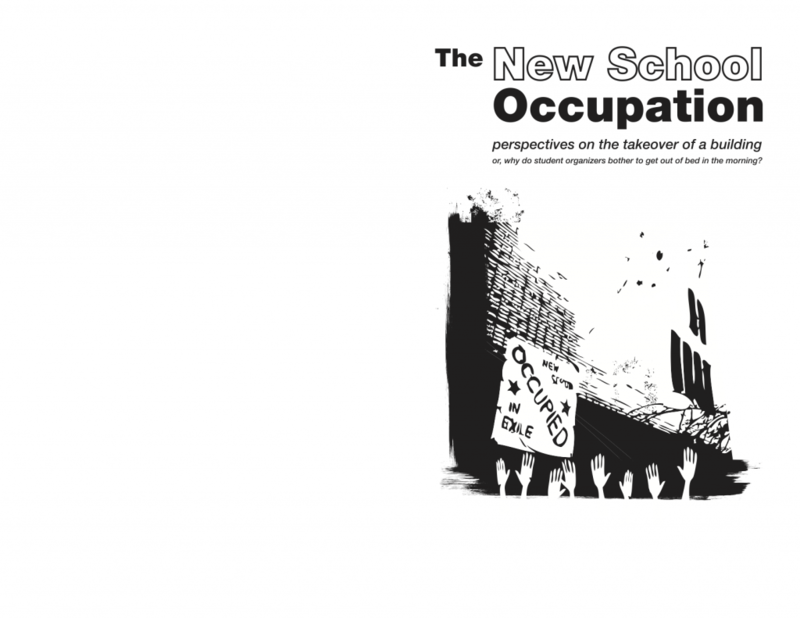 Collecting the major statements from the 2009/10 waves of university occupations, After the Fall is a love letter to the insurgent students and workers on California campuses and was used to build for the March 4 strike attempt. 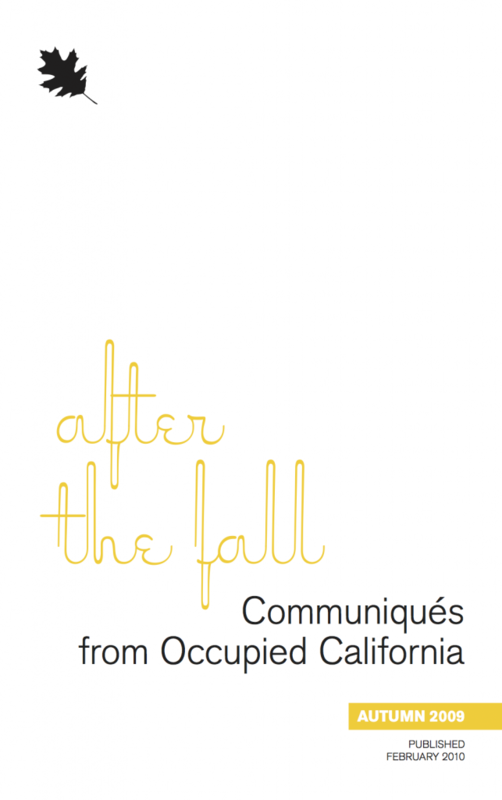 Released in the wake of the financial crisis, Communiqué captures far more than the narrative of the radical student movement that sparked university occupations across the state of California. It speaks to that vague reticence we as students drag from the classroom to the library, the fleeting thoughts that we struggle to articulate: the absurdity of what is considered “normal” today. The feeling that something is wrong, but more importantly the feeling that something has to happen. 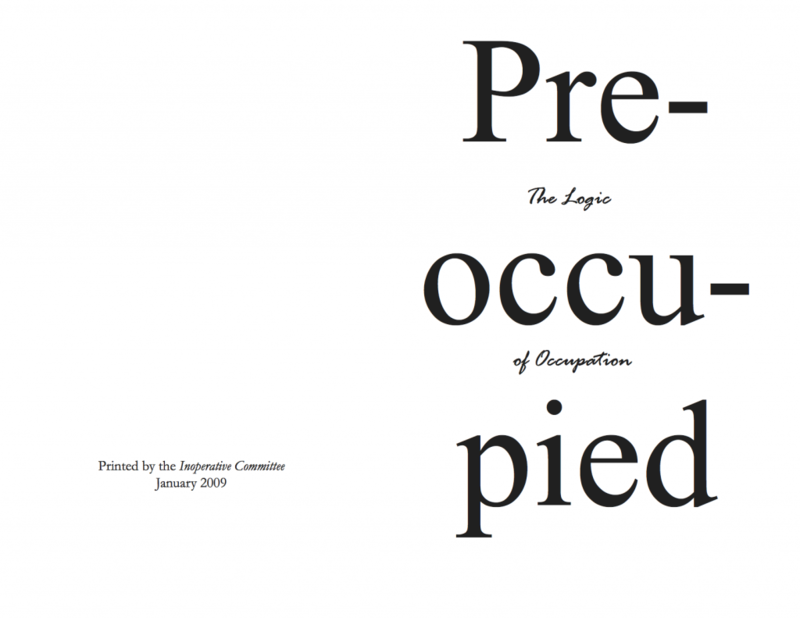 A January 2009 zine on student occupations in New York. 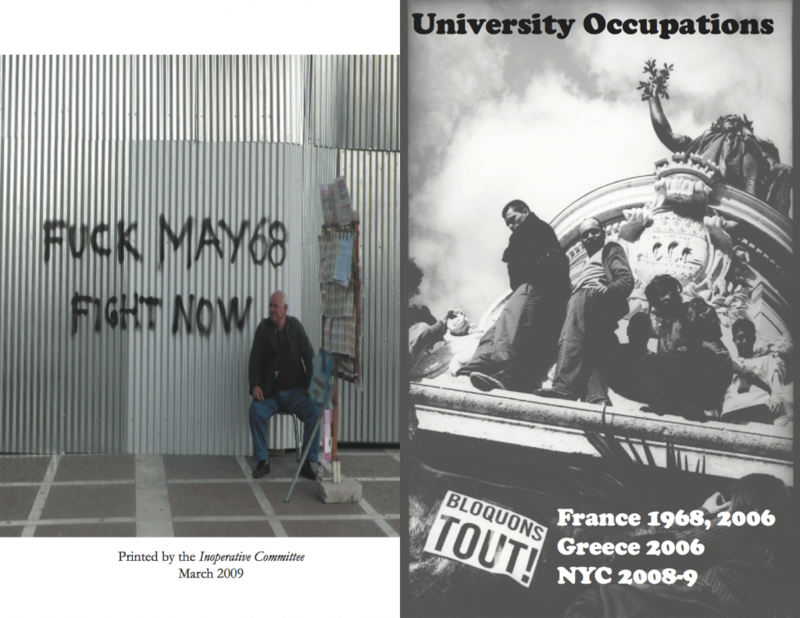 Lessons and analysis from university occupation movements in France 1968/2006, Greece 2006, and New York 2008-2009. 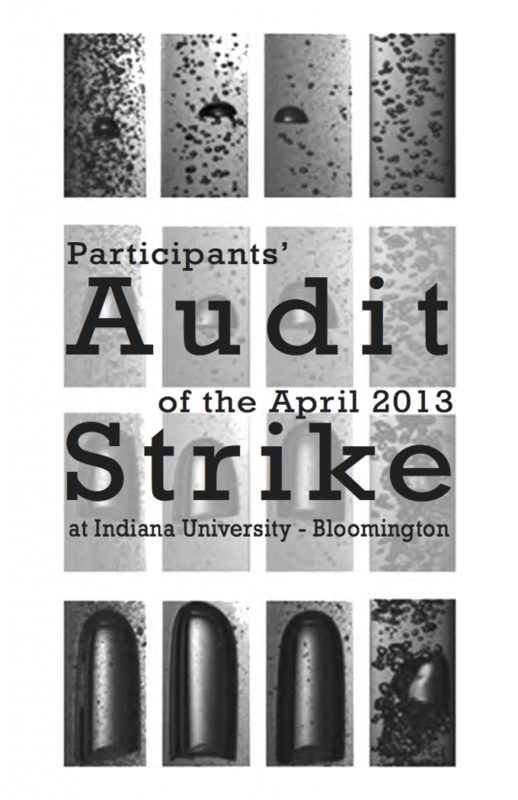 Written by participants in the 2013 strike at Indiana University as a reflection and self-critique. 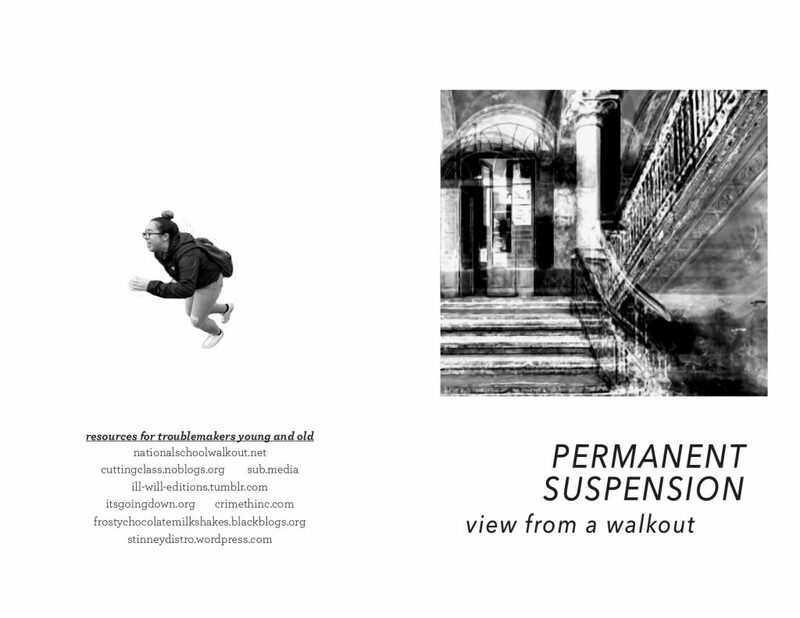 In light of the recent wave of activity by young people across Turtle Island, Frosty Chocolate Milkshakes wanted to put out this inspiring excerpt from a favorite book of their’s depicting a school walkout in Italy in the 1970’s, paired with a short introduction tying the events of the book to those we are experiencing today. Click HERE to find the zine in both pocket and full size versions. With love to student rebels everywhere! The applause. The slogans. The predictability. The enemy infrastructure of the University. The hierarchies. These assemblies are depressing.